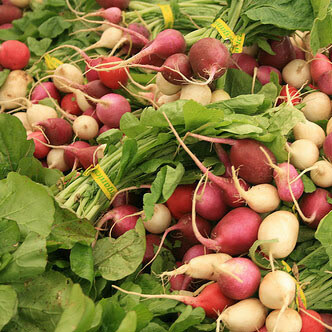 The Easter eggs may be gone, but Easter egg radishes are likely to be freshly harvested at the downtown PSU farmers market on Saturday. 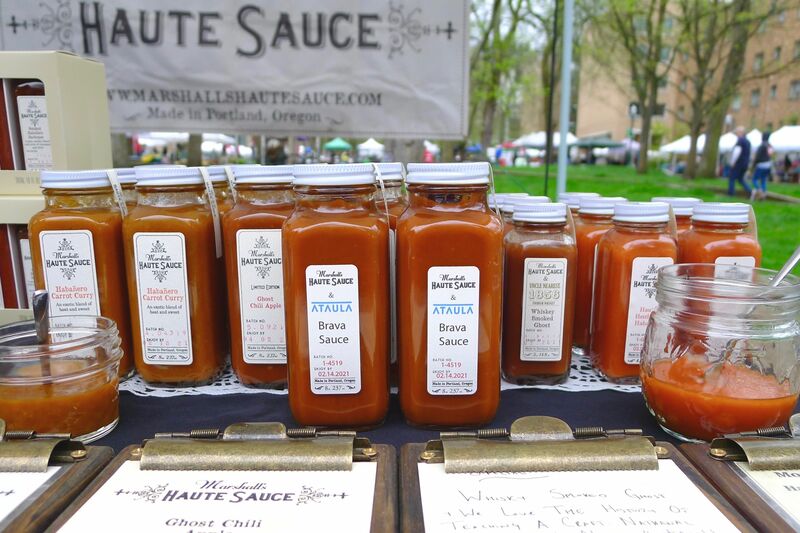 Sure signs that the seasons are changing: spring break is behind us in both Oregon and Washington, there aren’t any holidays on the horizon, and we’ve moved into the summer schedule for the Saturday Portland Farmers Market at Portland State! That last one most of us can get excited about, so let’s focus on it. 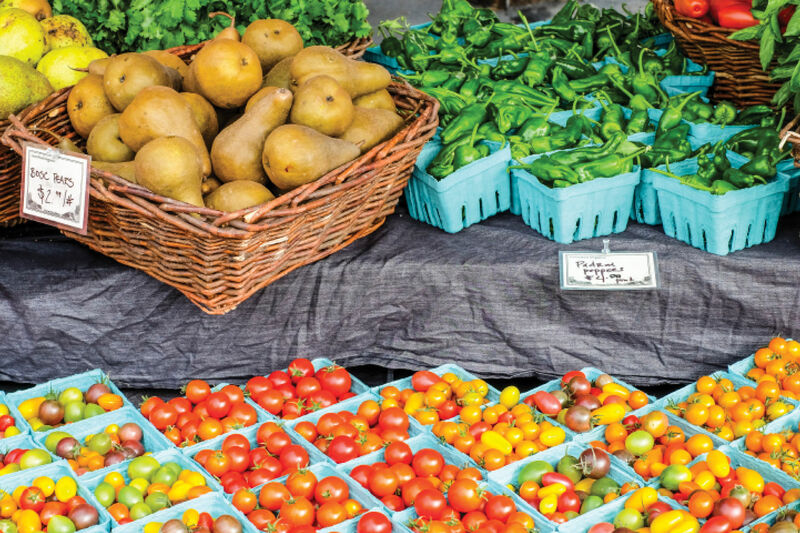 The bountiful farmers market scene in the Portland metro area continues to bloom. Maybe this year it’ll be filled out in all the right places. As with food carts or microbreweries, there must be a point at which the market is saturated, as they say. Not every parking lot can support an artisan sausage or gourmet taco stand. But in the right location, such additions to the neighborhood can work wonders. 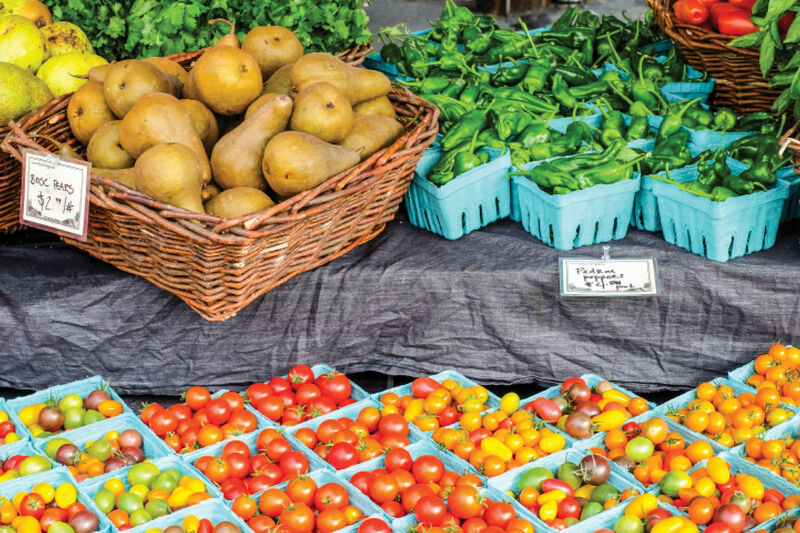 The Portland Farmers Market (PFM) group coordinates several markets across the city and on different days of the week; the idea is that times, days and locations are complementary. And for the most part the system works fabulously. The market held Saturdays on the Park Blocks of Portland State University (PSU) – not to be confused with the “Saturday Market” that takes place Saturdays and Sundays near Skidmore Fountain in Old Town – is the honored elder of the family. And for good reasons: it’s centrally located in the metro area, easy to get to on transit, and convenient for downtown tourists soaking up the Portland atmosphere. Moreover, it’s a lovely physical environment. By contrast, some of the other markets have less going for them. 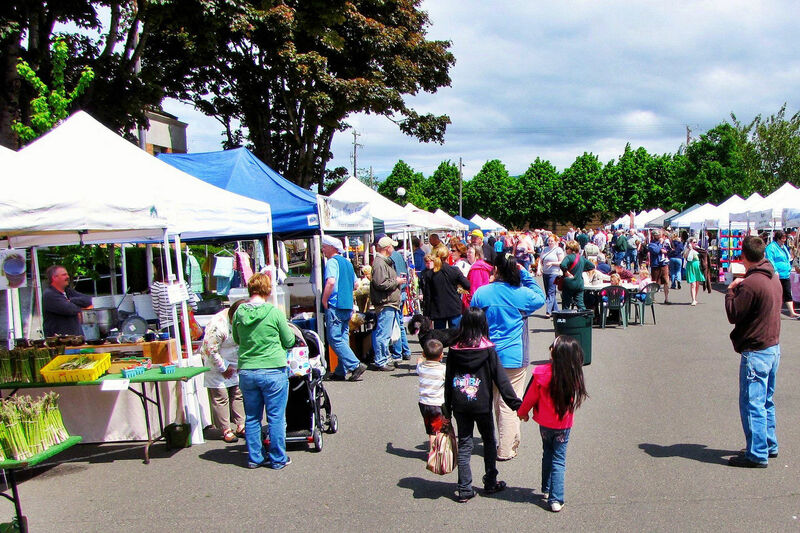 Not just any flat surface can host a successful farmers market. Case in point: last year the local market system grew to include a North Portland market at the old Kenton Elementary School parking lot near the Lombard station of the Interstate MAX line. The location was a detriment: the immediate environment was unpleasant (asphalt and chain link fencing) and the connection to more walkable, pleasant surroundings was tenuous. The site was marginally in Kenton, but far from the neighborhood’s main street retail area, the old downtown on Denver Avenue that dates back to when Kenton was its own city in the 19th century. But this year, the PFM folks are trying again in an extremely promising location: downtown Kenton at North Denver Avenue and North McClellan. The two blocks of McClellan flanking the intersection at Denver will be closed off to car traffic so that the market can take over the pleasantly scaled tree-lined streets in the heart of Kenton. The local restaurants and shops will be open. And the timing should be perfect: Fridays from 3 to 7 pm. After a long work week, stop by the market, listen to music, meet neighbors or new friends, pick up dinner items or wander off to one of the local restaurants right there. The Kenton market will open June 1 (and run through September 28). The MAX station (Kenton stop) is only a single (pleasant-to-walk) block away – as is that beacon of Kentoniana, the Paul Bunyan statue. With Paul presiding over it all, I’m sure the new market will be a success. Keep up to date with the PFM goings on by checking out their blog. The PFM website also has a good listing of other local markets not directly part of their system.